Stay connected no matter where you are! 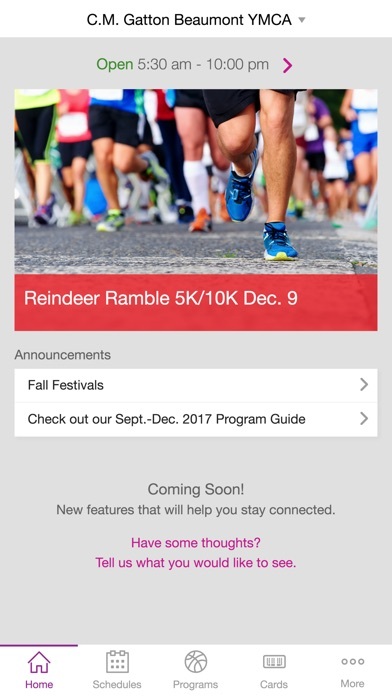 • Stay up to date with the latest announcements and organizational news for your chosen location. 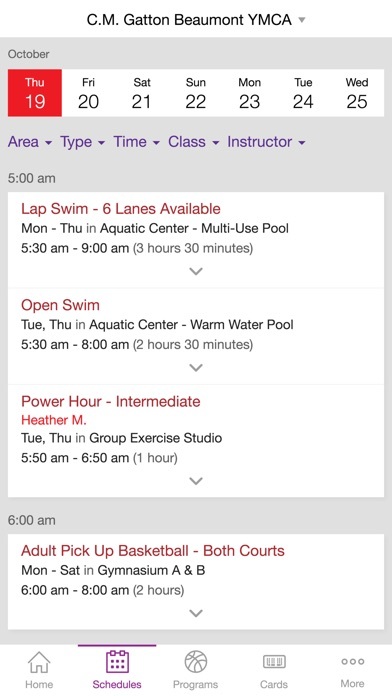 • Easily view schedules for each day and filter for the types of classes that you like. • Subscribe to push notifications and stay informed with notifications sent straight to your lock screen. 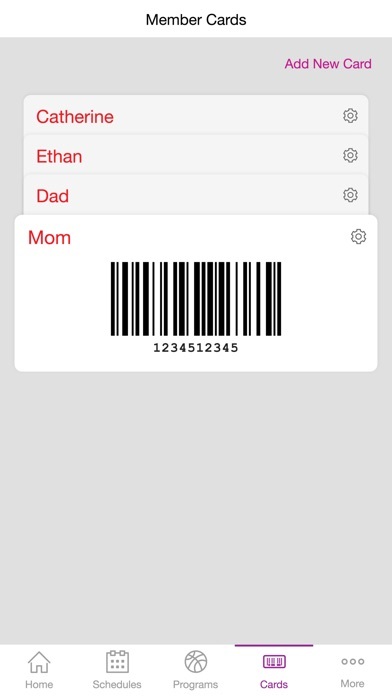 • No more worrying about keeping up with your barcode or your kids’ barcodes, store them in the app for easy check-in. Too slow prior to recent update. Now not working. Deleted the app and reinstalled, appeared to work and now is not once again. 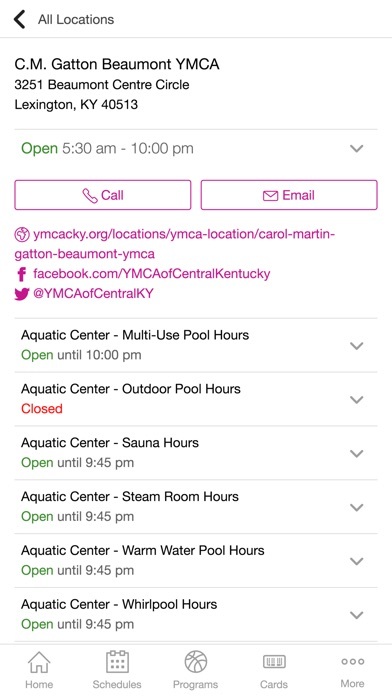 Since you offer a city-wide membership, I wish I could search all Lexington Ys for a particular class at once. Easy to use app for general information. I would love if this app would support family membership checking and store more than one barcode at a time.